This entry was posted on April 20, 2016 by Brian Vernon. Are the rats in my roof native? 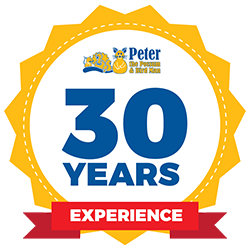 One of the most common questions the team here at Peter the Possum Man is asked when someone has rats living in the roof in Brisbane is whether the rats are native ones. The QLD Museum says that in the greater Brisbane region, there are seven species of native rats and mice, and three introduced species. Unfortunately, all 10 species tend to look quite similar and it can be tricky to tell them apart. Native rats include water rats, pale field rats and bush rats. The introduced feral species of rats in Brisbane include sewer rats and ship rats (also known as black rats and brown rats but those names are not helpful because their fur colours can be very variable). As a general rule, these two feral species have very long tails, much longer than most native rodents. The feral species of rats are extremely aggressive towards native rats, and over time have gradually taken over the territory of native rats. As a result, it is very rare to see a native rat in Brisbane except in outlying leafy suburbs. Native rats tend to be ground dwellers and rarely move into roofs of houses. This means that if you have a rat problem in Brisbane it is more likely to be one of the feral species of rat. If you have rats anywhere in or around your property, you need to get them treated as soon as you find droppings or hear them moving around. Rats are prolific breeders and one or two rats can quickly turn into a major rat problem within a few months. Our Brisbane rat controllers can treat the rats in your roof but they first make sure there are no possums also in residence, which will eat the baits and die. They will establish an effective rat control program for your home or commercial property. For fast and efficient rat control, check out our rat control service or contact us to arrange an appointment.